Stephanotis, also called Madagascar jasmine, is a magnificent indoor plant that blooms all summer long. In our climates, only potted growing is possible for Stephanotis because it can’t bear the cold. Pots provided upon purchase quickly become too small: re-pot your stephanotis as soon as their blooming is over. Once in place, avoid changing its location because it hates being transferred from one spot to the next. Refer to our guidelines on how to repot your stephanotis. Stephanotis is native to Madagascar, and therefore requires temperatures of at least 68°F (20°C) all year-round to thrive. Choose a very well-lit space for your stephanotis, but not in direct sunlight behind a window. The temperature must never drop below 60°F (15°C). You can bring your potted Stephanotis outside from late spring to early autumn, keeping an eye on the temperature. Winter care for Stephanotis in a pot – Best is to bring the pot in from the cold to a lean-in or cool greenhouse. If your plant customarily lives indoors inside a heated house or apartment, it will appreciate a phase of rest over the winter months in a cooler spot instead of the hot, dry indoor air. Temperatures shouldn’t drop below 57°F (13°C) for extended periods, and any bout of frost will kill the vine. Ideally, your Stephanotis will go dormant if you keep it in a 57° to 60°F (13 to 15°C) range. In winter, water your potted Stephanotis only when the soil is dry, without adding any fertilizer. Caring for outdoor Stephanotis in winter – If ever winter is cold in your area (below 50°F / 10°C), it’ll take a miracle for your Stephanotis to survive. or, if you’ve already got the materials at hand, to set up a temporary heated greenhouse around it! Transferring to a pot is by far the most economical solution, but it’s also more difficult when the shrub has grown to several feet or more in height because you’ll have to bring the treillis or stake along with the plant and root clump. The bigger the plant, the higher the risk of it dying of transplant shock. One solution could be to plant your Stephanotis with a pot-in-pot strategy to make it easier to pull out and protect. The Stephanotis plant will work on renewing its root system during fall and winter, and it’ll be ready for being replanted out in the open come late spring! Keep the trimmings to prepare new Stephanotis cuttings! 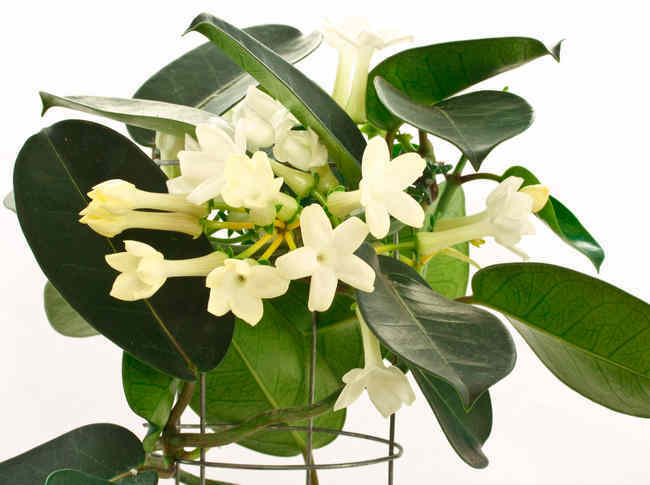 To flower well and grow, a Stephanotis plant requires a bit of care as regards watering and fertilizer. Watering 1 time a week should be enough. Adding liquid flower plant fertilizer every fortnight will enhance the blooming and growth. Your stephanotis will require a lot of moisture because its natural habitat is forest underbrush. Spray soft water on the leaves often. When potted, stephanotis needs a lot of moisture and likes being placed on a bed of constantly moist gravel or clay marbles, since this recreates its natural environment. The usual blooming season for Stephanotis extends from May to October-November. After blooming, its is best to give your plant a “rest” for it to go dormant: place it in a cooler but well-lit room. Ideal temperatures are around 68 to 70° F (20 to 21° C) in summer and 57 to 60°F (13 to 15°C) during the rest phase (usually winter). During the dormancy, all addition of nutrients must be stopped, and you should only water if the soil in the pot is dry. 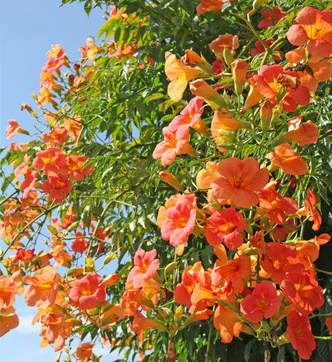 In spring, you can prune the vine without restraint to let it grow back even better and ensure it will bloom again. As its common name shows, Stephanotis is native to Madagascar, where it can be found outdoors in the wild among other plants in forest underbrush. It is used under our climates as an indoor plant. 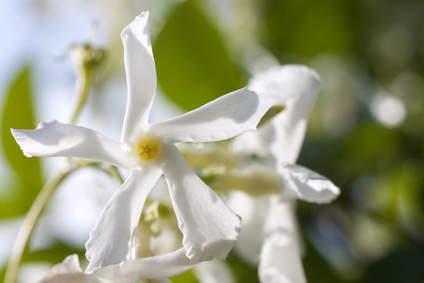 Madagascar jasmine is a vine that offers deep dark green leaves, leathery and shiny, and flowers from spring to fall that appear at the junction of each leaf. Usually, a stake is provided to help it grow upright, because it cannot stand straight on its own. If a cottony white substance starts covering your stephanotis leaves, a scale insect colony has appeared. Stephanotis can also be colonized by mites and ticks such as red spider mites, especially when the surrounding air is too dry. Leaves turn yellow on a stephanotis plant whenever the water used for watering is too hard or when the plant lacks light. Use rainwater or mineral groundwater to water your stephanotis. Give it a bit more light. Mist the leaves or rest the pot atop a tray with clay pebbles doused in water. Bring it outside in spring through summer, but shelter it from wind. Try planting it outside for the warm season, the extra space given its roots might trigger blooming. This has worked before! You’ll have to uproot it for winter, though. Having seen the pictures, it seems you’re the proud owner of a stephanotis fruit pod! Should Stefanotis be fed with iron at any time please? Hello Jane! No, there’s no particular reason or point in adding iron to the soil for your stephanotis. Iron is naturally available in garden soil, and if conditions are normal it’s very easy for the plants to get the dose they need without having to add any. Only exceptions are if ever the soil is very alkaline (pH levels higher than 7.5), because iron gets harder to absorb by plants. Adding iron in this case helps, but you should try to deal with the root cause of the high pH itself because alkaline soil isn’t a good growing medium for your stephanotis. Mulch with organic matter will work towards bringing your pH to ideal levels naturally and iron supplements won’t be needed! Hi, I have had my stehanotis in a pot for around 2 years and no flowers, so I planted it in my garden, it has taken off this year lots of flowers and now is over 6 feet tall, will it last over winter? Hi Tony! Thanks for your question, happy to know your Stephanotis just needed to be set free to grow wild! I think you’re in the UK, so sad to say, it’s virtually impossible for your stephanotis to survive outdoors… Options would be to transplant it back to a pot, you can read this article specifically for stephanotis. Another is to try to provide it with shelter, but since it must be heated to between 13-15°C, that isn’t something that is easy to do. I wish I could tell you it could be protected and such, but that wouldn’t be true. But simply try returning it to the pot for winter, I’m sure it’ll survive and you can have flowers again in the same manner next year! Just be sure to prune it well as you do this. Hope it makes it!